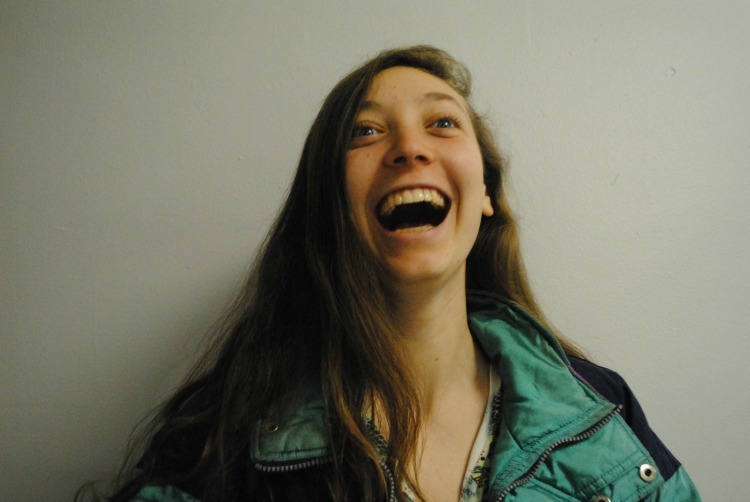 BHSEC’s very own Sophie Houser, ’15, co-creator of “Tampon Run.” Photo credit to Ayla Safran. Gory warfare, zombie assassins, armed robbery, and guns are commonplace themes for computer games. Society has desensitized itself to apocalyptic fantasies by trivializing violence through virtual recreation, yet people still consider menstruation, a basic bodily function, to be a taboo topic. Two high school students, one of whom is Y2 Sophie Houser, designed a computer game last summer to challenge this value system. In the 8-bit game “Tampon Run,” a pixilated girl with a pigtail has two missions: to throw tampons at oncoming boys (while occasionally leaping to catch floating tampon boxes to refuel her unconventional ammunition) and more importantly, to de-stigmatize menstruation. The game, which started off as a joke, became an opportunity to spark a conversation about how our society views menstruation. Through designing the game, Houser encountered “the sense in many cultures around the world that women are unclean when we menstruate…. women are often separated when they are menstruating because they are ‘unclean.’” In America, a woman getting her period often experiences obnoxious comments made by peers, complete avoidance of the matter, or a misguided assumption that she is “P.M.S-ing” when she expresses a forceful emotion. In other countries, menstruation is a death sentence for education. UNICEF estimates that one in ten girls in Africa drop out of school because treating menstruation as a taboo leads to the social separation that Houser described. The New York Times reported that 23% of Indian girls leave school when they enter puberty. These girls are taught that their monthly bodily function is a pollutant and that it dirties anything they touch. The high dropout rates are a result of teasing, lack of safe and hygienic resources, body education, social exclusion, and early motherhood expectations. More and more celebrities are declaring themselves “feminists,” such as Beyoncé, Taylor Swift, Benedict Cumberbatch, Daniel Radcliffe, and Emma Watson. An increasing number of people, men and women alike, are writing about why they need feminism, yet as the movement gains more popularity, it also loses some of its ideals across the masses. There is a danger in having the face of the feminist movement turn into a celebrity fad or a Facebook challenge, transforming a legitimate effort into a blind following of fans driven by social pressures and misunderstanding, rather than a true interest in feminism. The publically clamored-for game (literally, several BHSEC students shouted their approval at the game’s mention), demonstrates the incredible feat the little computer game has undertaken. If society is going to be determined by technological influences, it seems only reasonable that we cultivate our technology to reflect the kind of balanced and opportunistic world we wish to see off the screen.